If you are a female over 50 years old, take a moment to ponder something...You have a 50% chance of breaking a bone. Yes, that’s right. One out of every 2 women in the United States who are over 50 years old will suffer a fracture. For the men reading this article, the risks are not much better… one out of every 5 men over 50 will suffer a fracture. It is because of the “silent disease” known as OSTEOPOROSIS. Literally, osteoporosis means “porous bones.” Osteoporosis is a slow, insidious disease that progressively decreases the strength of your bones by reabsorbing your bone faster than you can create new bone. This results in a painless loss of bone density that eventually leads to an inability of yourbones to withstand any insult or trauma! Osteoporosis is the most common bone disease in humans. There is an estimated 44 million people living in the United States with either low bone mass or osteoporosis. Studies estimate that by 2020, over half the population of the United States will be effected by this disease. Osteoporosis-relatedfractures are responsible for over 430,000 hospital admission, 2.5 million doctor office visits, and 180,000 nursing home admissions a year. In 2005, the estimated cost of osteoporosis to the health-care system was $17 billion and is expected to double or even triple by 2040. Osteoporosis is serious and unfortunately surrounded by many myths. For example, do you think you are supposed to loss height or “shrink” as you age? Do you think taking extra calcium is going to prevent this diseasefrom occurring? Do you think osteoporosis is a disease that only elderly women need to worry about? If you answered “yes” to any of those questions, you need to think again! “Shrinking” is not normal! A historical height loss of over 1 1Ž2 inches or a documented height loss of 0.8 inches is an indication your bones may be weakening and screening for osteoporosis is necessary. The recommended daily intake of calcium is 1000-1200mg. Getting the majority of your daily calcium through your foods is best and is utilized more efficiently by your body. If you cannot get the recommended amounts ofcalcium through food, supplements are important. However, taking more calcium does not give you any added bone strength but may instead cause other medical issues like kidney stones, calcification of the blood vessels, and other serious health problems. 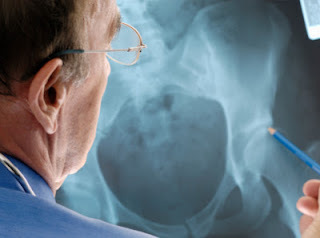 Osteoporosis is not just a disease of the elderly. Osteoporosis can affect the young and old! While it is more commonly seen after menopause, there are other secondary causes of osteoporosis that can present at any age. Examples include, Celiac Disease and other malabsorption issues, vitamin D deficiency, thyroid disease, eating disorders, alcohol abuse, chronic steroid use…the list goes on! If you are over 50 and concerned about your bone health – talk to a health care provider – especially if you have suffered a fracture! If you are post-menopausal or over the age of 65, you need to be screened for osteoporosis whether you have had a fracture or not. Don’t let your first indication of poor bone health be a painful or possibly debilitating fracture! Here at NH NeuroSpine Institute, we offer a unique clinic that is designed for patients who suffer from osteoporosis, are over 65 or have suffered from a fracture. We can help reduce the risk of further fractures or help to slow the process of bone loss. Prevention is the key to good health! Call us for your bone screening today.